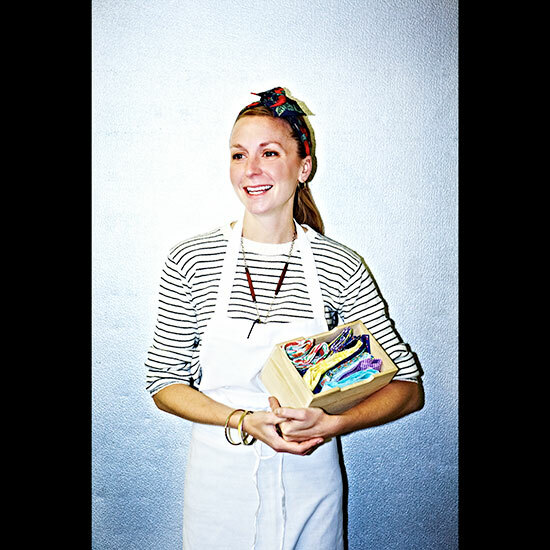 Christina Tosi of Momofuku Milk Bar: "I treasure the head scarves my grandma made and sewed for me. I always like to wear bows in my hair because it's a reminder not to take yourself too seriously in vibe and mentality. There is something sort of girlie about it, even though you are just sweating away with a bunch of boys in the kitchen." "I think of my grandmother every day. I keep a picture of her on my desk. When I wonder if I am being too intense or if I'm making the right decision, I'll ask myself what my grandmother would think, would she be proud or shake her head and say, 'You are better than that,' or 'You know that's not the right thing to do.' The head scarves have a deeper meaning than just being head scarves, they are a reminder." 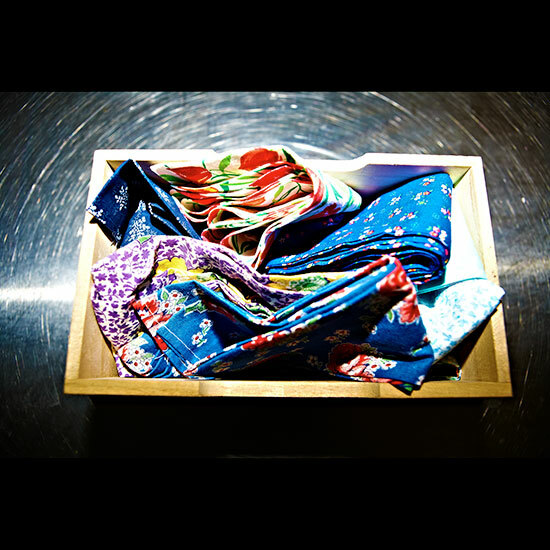 "We all have a different way we tie a head scarf, which I think is interesting. It's like when you go to Hawaii and they're trying to sell you a sarong and tell you there are "a hundred ways to tie your sarong!" There are 101 ways to tie your head scarf! There is no right way or wrong way, everyone ties it their own way." "Grandma's name was Rosemary, and she taught me how to bake. Her specialty was the oatmeal cookie. When I was little, instead of helping I would eat all of the cookie dough; she would tell me not to be so greedy. She's the one who really pushed me to learn how to fend for myself in the kitchen." "When we opened up Milk Bar, I had my stash of head scarves, but all of a sudden I had a team of girls and guys who were also in white, so my grandma started making head scarves for everyone. It's become the important glue that holds us together at Milk Bar. 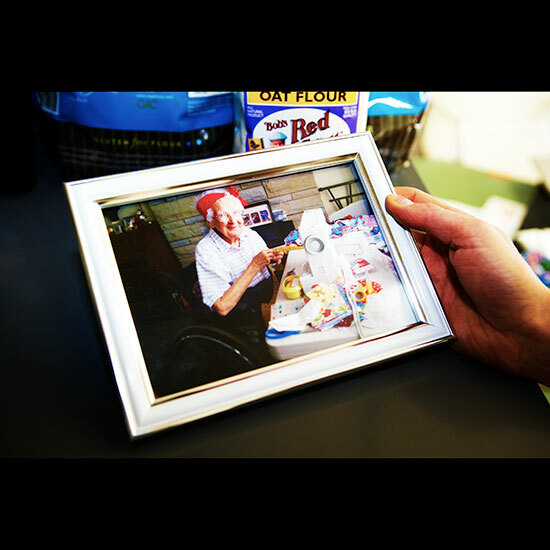 Once the Milk Bar team started growing and growing, my grandma had this greater mission. She got really sick and decided that she had to sew everyone head scarves. In her last days of life she would sew because she couldn't really get up or move much, but she could sew. They became intensely, intensely special because that's what we have left of her now."